The Vancouver Condo Buzz » Only 40 Available! Launch at the South Surrey Laureates Walk Townhomes at the Master Planned Harvard Gardens Surrey Community by Polygon (top builder!) 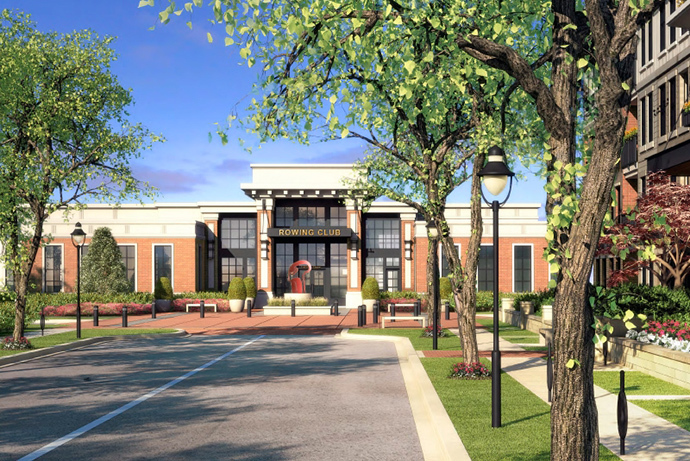 > 2, 3 and 4 Bedroom Townhouse Floorplans plus access to Exclusive Rowing Club at Harvard Gardens Amenities! « Exclusive Waterfront North Vancouver TROPHY at the Pier Lower Lonsdale Condos for Sale by Pinnacle along Victory Ship Way > Amazing Opportunity! Laureates Walk Townhouses is the first and only townhome property at Harvard Gardens master planned Surrey community. Brought to you by Polygon, one of our favourite builders and a leading developer in Greater Vancouver, the new Surrey Laureates Walk Townhomes at Harvard Gardens are inspired by the architecture from urban Boston row homes as well as prestigious and heritage collegiate institutions that the East Coast is so well known for. Laureates Walk Surrey townhome project only features 40 boutique and exclusive townhouses for sale. Adding 2, 3 and 4 bedroom Harvard Gardens Laureates Walk townhomes to this new and exclusive neighbourhood is amazing as home owners can move up or move down and not have to leave this beautiful new community. The prestigious architecture, contemporary finishes and a great sense of community are great selling features at this newest Polygon property. In addition, the South Surrey Laureates Walk townhomes are extremely close to top ranked local schools, beautiful golf courses as well as lots of dining and shopping options. The developer names include: Polygon Laureates Walk Homes Ltd and Polygon Harvard Gardens Ltd. All home owners at the Laureates Walk Surrey townhomes have access to the exclusive private community clubhouse called The Rowing Club at Harvard Gardens. At The Rowing Club Laureates Walk home owners can enjoy an outdoor swimming pool and spa area, fitness centre, gymnasium and a theatre room. There will also be a clubhouse lounge and much more. For more information about the South Surrey Harvard Gardens Polygon community, please visit www.polyhomes.com today. 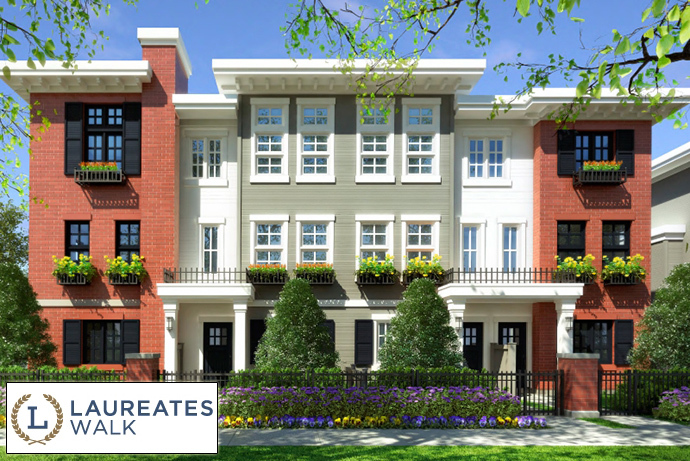 For more details about the exciting new Surrey Laureates Walk Townhomes for sale, please visit http://www.polyhomes.com/community/laureates-walk-townhomes-south-surrey and register your interest today! The project location is tucked away on 34th Avenue and 152nd Street South Surrey. The official GRAND OPENING is Saturday, June 22nd! As mentioned above, the new South Surrey Laureates Walk townhomes community will be the only multi-family townhouse release at the master planned Polygon Harvard Gardens real estate development in Surrey. 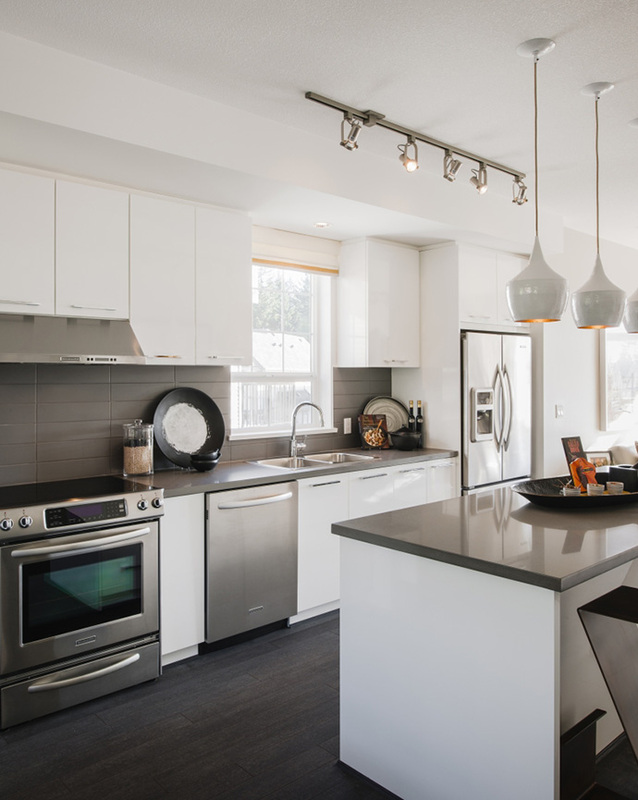 With only 40 homes for sale, the Laureates Walk Surrey Boston architecture inspired townhomes will be a hot commodity and will have stunning architecture and interior specifications. The actual site location is 3399 151st Street Surrey BC. Be at home in a wonderful and safe South Surrey neighbourhood where nature inspires and opportunities excite. From outdoor hiking to parks and trails, recreational pursuits are endless around this area. Also, the award winning Morgan Creek Golf Course is just a few minutes away as is a huge 40,000 square foot Steve Nash Sports Club. Nearby shopping and local conveniences at the new South Surrey Laureates Walk Townhomes at Harvard Gardens includes the Cactus Club Café, The Keg Steakhouse and many bistros and coffee shops. In addition, Save-On-Foods and other grocers are centrally located close to your new home. There’s also the Grandview Corners Shopping District and Peninsula Village Mall that will give you an array of boutique stores, large format big box retailers, restaurants and theatres to enjoy year round. As well, the Harvard Gardens Laureates Walk Surrey townhome project is also located just 10 minutes away from the Peace Arch Border to the United States as well as only 30 minutes away from Richmond/YVR Airport. For those who like the water, White Rock and Crescent Beach are just minutes away. The executive townhome residences are centrally located for today’s urbanites seeking a quieter and safer place to call home. For those in pursuit of excellence, there’s Harvard Gardens Laureates Walk townhomes in Surrey that are coming soon! > Floor Plan D = 4 Bedroom and 3 Bathroom at 1,496 square feet. * Please note that all square footages are approximate sizes only. The site plan is also online for download. More Information About These South Surrey Townhomes! The first townhouse project in the master planned Harvard Gardens community in South Surrey real estate market, Laureates Walk Surrey townhomes will feature urban inspired Boston rowhomes. A small collection of just forty 2, 3 and 4 bedroom spacious South Surrey townhouses will be offered in the masterplanned Polygon Harvard Gardens neighbourhood at 32nd Avenue and 152nd Street Surrey. The prestigious, heritage style architecture will be complemented seamlessly by contemporary and sophisticated interior specifications. Home owners at Laureates Walk Surrey townhomes will have exclusive access to The Rowing Club amenities at Harvard Gardens. You’ll find a private clubhouse amenity space with an outdoor swimming pool and spa, fitness facility, gym and a state of the art movie theatre room. More information about the first townhouse phase at Harvard Gardens is coming soon. If you would like more information about the South Surrey Laureates Walk townhomes, please visit the Polygon web site at www.polyhomes.com today.